Last month L, Waverly and I took our first family vacation to Maui. It was heaven. Sunshine, tropical breezes and L and I getting time together with our baby girl was a perfect combination for happiness. We spent several weeks just being a family together, swimming, eating pineapple, napping, stopping at fish taco food trucks and enjoying the fact that Wave lived up to her name. 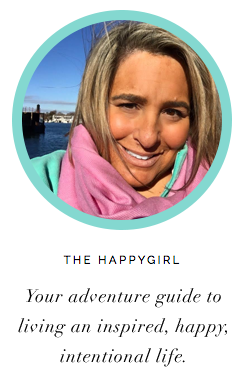 She loved the water, ocean or pool, it made her happy. We called her a little mermaid, her chubby little legs instinctively swimming underwater. Each day after breakfast, we swam and napped contentedly under the umbrella by the pool. And each evening, we sighed happily as we watched the sun set beyond the palm trees. One afternoon I tried a cocktail of locally made Organic Ocean Vodka mixed with fresh squeezed pineapple juice. It tasted like Hawaii, clean and happy. It became my favorite drink on the island. When we got back to Seattle, we started to miss our family life in Maui. So, we did little things like make our morning espresso with coffee beans we brought back from Hawaii. I wore a locally made perfume that I bought on the island and wore every day of our vacation and at a store in Seattle, I bought a bottle of 80 proof Organic Ocean Vodka along with pineapple juice from Trader Joe's. One afternoon when the temperature had reached 80, I replicated my favorite drink from Hawaii. As I soaked up the afternoon Seattle sun, I closed my eyes and I remembered our perfect holiday. Some things just bring you back. Truth be told, I am a tequila girl. My favorite drink is a Paloma. I had never found a vodka that didn't taste bitter to me. However, Organic Ocean Vodka changed that. Made from organic sugar cane and deep ocean mineral water, it is gluten-free and contains no GMO's, pesticides or herbicides. Through a special process, the ocean water is desalinated and what's left is water that tastes smooth and contains calcium, magnesium and potassium. 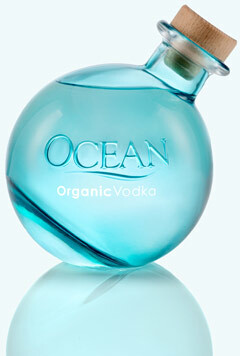 Other than the clean taste, I love what Organic Ocean Vodka embodies. Made by the Smith family on Maui since 2005, the Hawaii Sea Spirits Organic Farm and Distillery is socially and environmentally conscious. They practice eco-friendly production and sustainability throughout the process and the feeling of positive energy and harmonious living is pervasive throughout the brand. One other thing, the blue bottle set on its axis is meant to resemble an antique glass fishing float. Not only does it look beautiful but it feels organic in your hand as you pour. When we finished the bottle, I just couldn't recycle it. Instead, I rinsed it out and poured in some beach sand. I have displayed on my desk in my studio as a reminder of a happy family in a happy place. 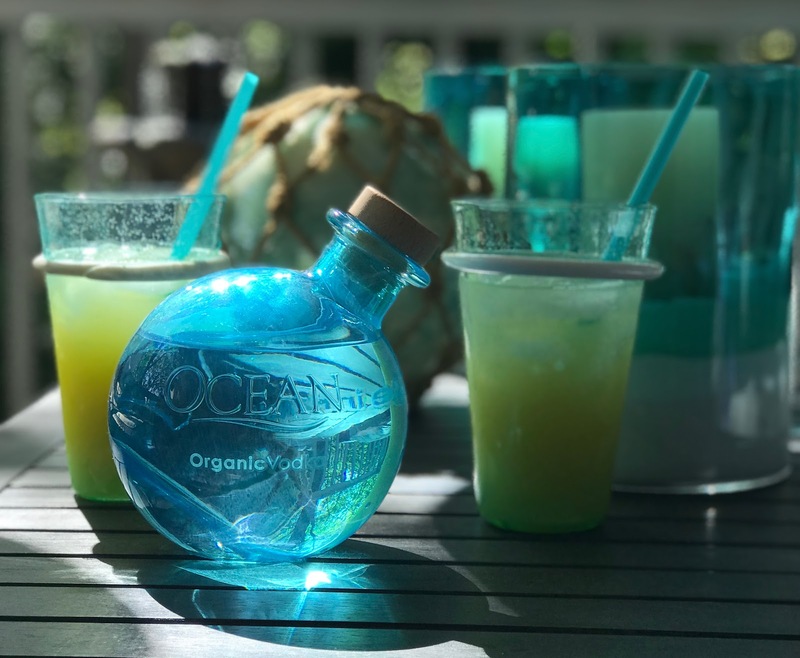 Organic Ocean Vodka is sold in all 50 states. If you find yourself on Maui, arrange to take a tour of Hawaii Sea Spirits Farm and Distillery, in the foothills of Haleakala. It's a great way to spend an afternoon, as you walk around the farm and distillery. Book here online. Click here to find an Organic Ocean Vodka retailer near you. Please enjoy responsibly!